Every now and then there are certain products that you see cropping up everywhere with everybody raving about them. Sometimes they’re products that you’ve tried and you’re probably one of those raving, but others you probably haven’t and you begin to question what all of the hoo-hah is about. theBalm’s Mary-Lou Manizer is one of these products. If you are one of those who love to scroll through the #bbloggers hashtag on Instagram, the chances are that you have definitely seen this highlighter in more than one, two or three photos! Therefore, needing a new highlighter anyway and being a fan of all other theBalm products that I have given a go, I had to give it a try. With that said, I've now owned this for quite a while yet I just hadn't gotten around to reviewing it, until now (better late than never, huh?). Mary-Lou Manizer is a powder highlighter that claims to add a subtle yet healthy glow to the skin. It's a champagne shade that is suitable for an entire range of skin tones, but will probably work best for those with yellow undertones. It comes packaged in a silver compact that has a mirror inside. The lid contains the retro style that theBalm use in their packaging (similar to Soap & Glory and Benefit if you've never seen theBalm style packaging before). To apply, you need to take your brush and lightly apply the highlighter in a c shape around the top of your cheekbones and up to the temple. In addition, add some down the centre of your nose, on the cupids bow of your lip, under your eyebrows and in the corner of your eyes. 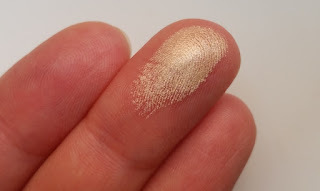 This particular highlighter can also be used as an eyeshadow. Before you begin to try this, you should note that it is quite highly pigmented. You don't need much of this highlighter to get the perfect glow. A quick swirl across the powder with a brush and you should be good to go. It is also buildable, so if you want a more intense glow then you can do that too. This makes it a versatile little product as it's perfect for whatever look you are trying to achieve. Mary-Lou Manizer blends super easily, so you won't have to worry about any streaks on the skin. The glitter is also really subtle so there isn't any huge chunks to make you look more like a disco ball than a glowing goddess. Once on it has great longevity, so I never find myself having to top this up during the day. Add that to the fact that I've been using mine for quite a while now, almost every day, and I still haven't reached the bottom of the pan. If you're looking for something that is going to last then this is a great investment. As mentioned above, an extra bonus of this highlighter is that it can double up as an eyeshadow. When worn on the eyes I find the longevity is just as good as when on the cheeks, and it is great for a natural look. Out of the highlighters that I have tried, this one of the one that I find myself reaching out for the most. It looks good for a day or night look and it's simply one of those products that it is hard to go wrong with. I also find that this highlighter is worth more than it costs. It's more of a mid-price point product, but works as good as, if not better, than a lot of high-end highlighters. When it comes to Mary-Lou Manizer, the hype is oh so very justified. If you haven't yet, just try it. 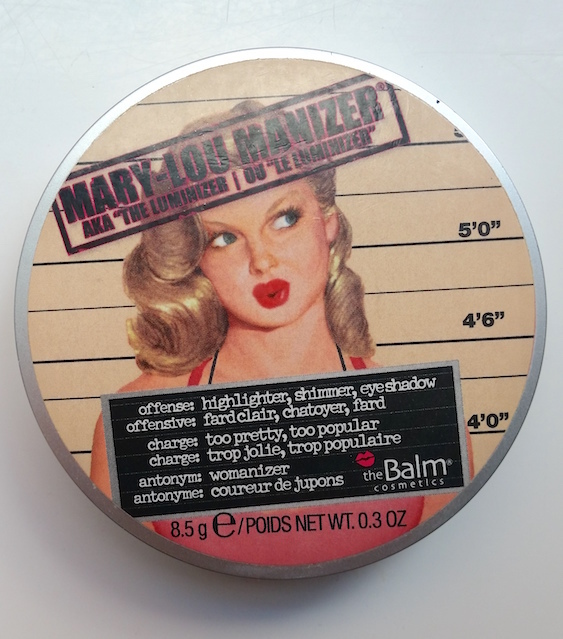 You can purchase theBalm Mary-Lou Manizer from Feel Unique. 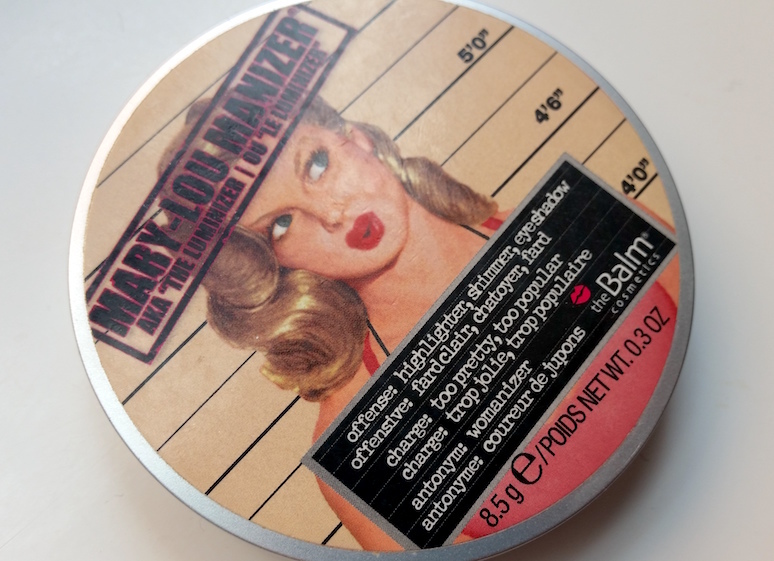 What are your thoughts on theBalm's Mary-Lou Manizer? What's your favourite highlighter? Nice in depth review! I need to just buy it already. 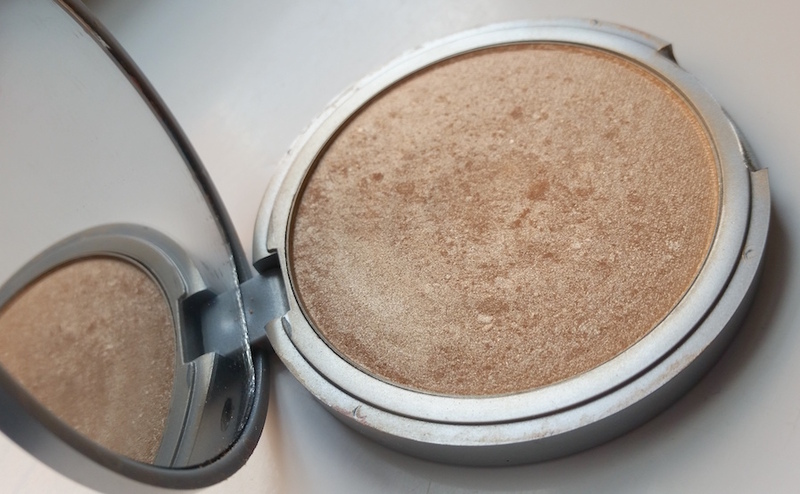 I have the Mary-Lou Manizer too and I agree, it is the best highlighter that I've got in my collection and the one I reach for 99% of the time. It just makes me so happy every time I see it! I got a little bit confused at the start of your post because the wording of it made it seem like you didn't it like and I had to see why. I love this post, and it's reminded me that I need to upload a review on this baby too!